Screaming Mimi's | 382 Lafayette Street, New York NY | 212.677.6464 » Blog Archive » It’s all about the 90’s! It’s all about the 90’s! It’s all about the 90’s! 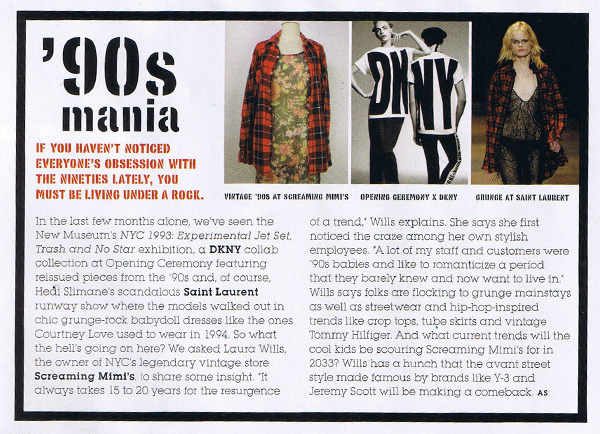 We tell Paper Magazine why we love the decade in their latest issue.